EPAA Annual Conference 2014: How to facilitate the use of alternative methods by regulators? 10th EPAA Annual Conference: How to facilitate the use of alternative methods by regulators? 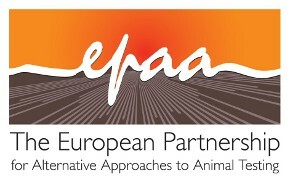 During this event the representatives of the European Partnership for Alternative Approaches to Animal Testing from both the Commission and industry side presented the highlights of their work during 2014. Additionally, dedicated sessions addressed regulatory acceptance of alternative methods. Speakers included MEP Sirpa Pietikäinen, DG JRC Director-General Vladimir Šucha, DG ENTR Director-General Daniel Calleja, Dr. Joel Majerowicz from the Brazilian ANVISA, and Dr Anne Gourmelon from OECD. The conference gathered academics, representatives from NGOs, companies, European and international institutions, as well as national regulatory authorities.